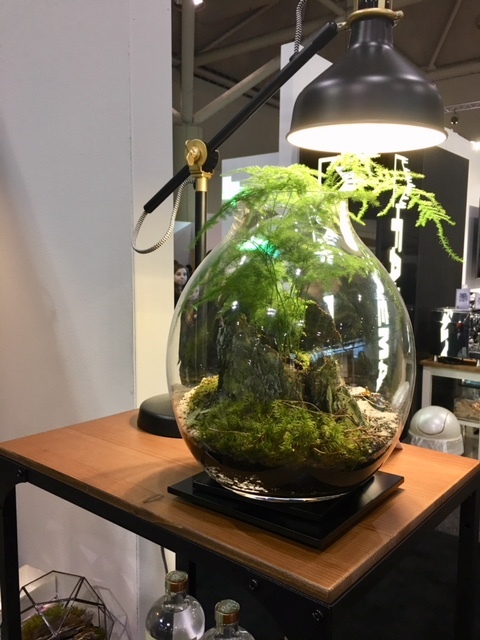 So what was the main accessory that you saw everywhere at IDS18? 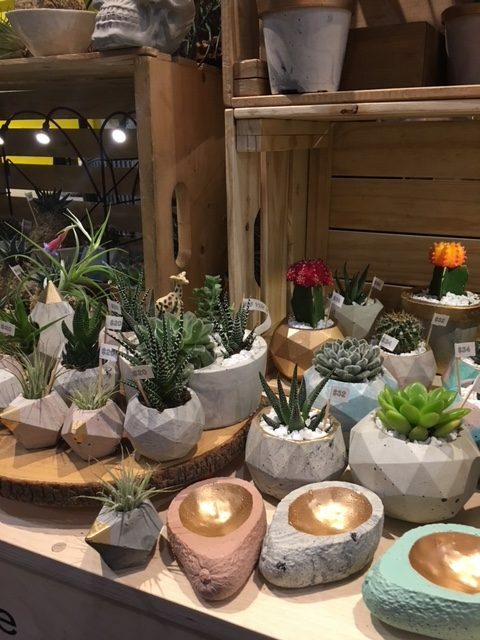 It was plants, plants and more plants! Take a look at just a few of them and get your gardening gloves out. 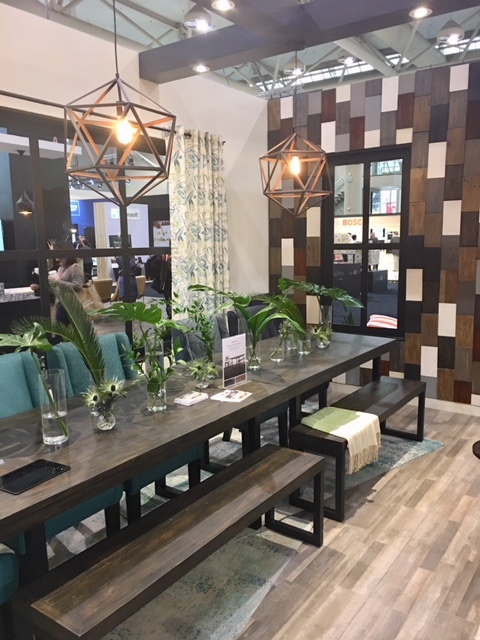 Somehow, I missed the name of this booth, if you know it, please let me know and I’ll add it in. 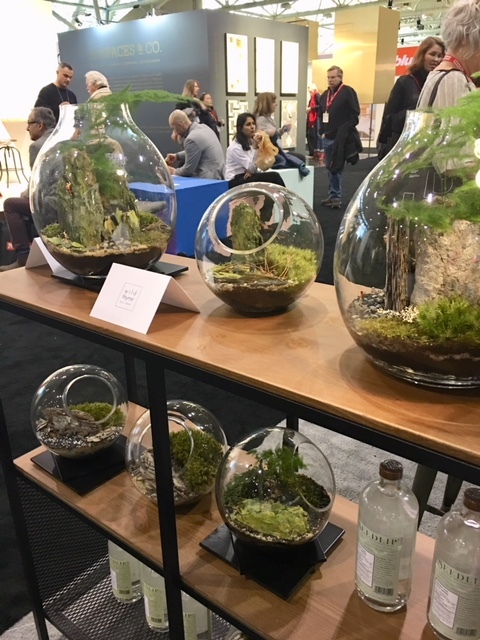 The Seedlip booth had the most beautiful botanicals and they received lots of attention. 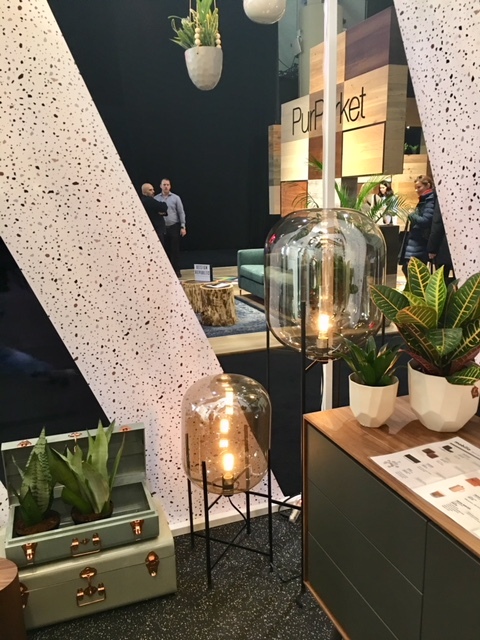 Mobilia’s booth was divided up into different rooms with different themes and it was a stunner. Here’s just a few pics from a couple of the rooms, with lots of green! And how about these interesting globe lights on stands. Perfect to light up a dark corner. 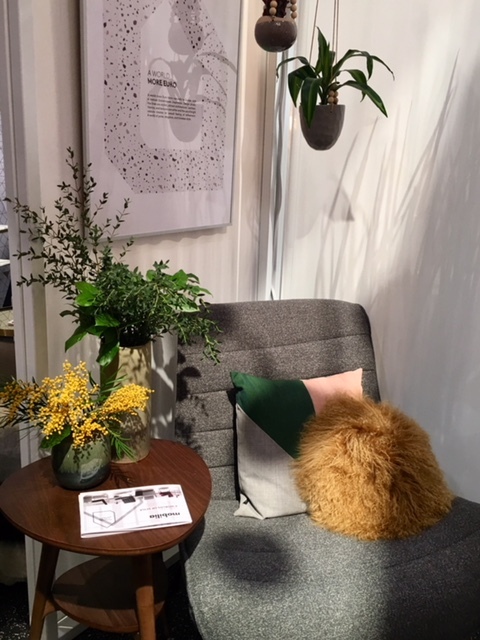 A little nod back to the 70’s in this vignette, with those hanging plants and a shaggy throw pillow. 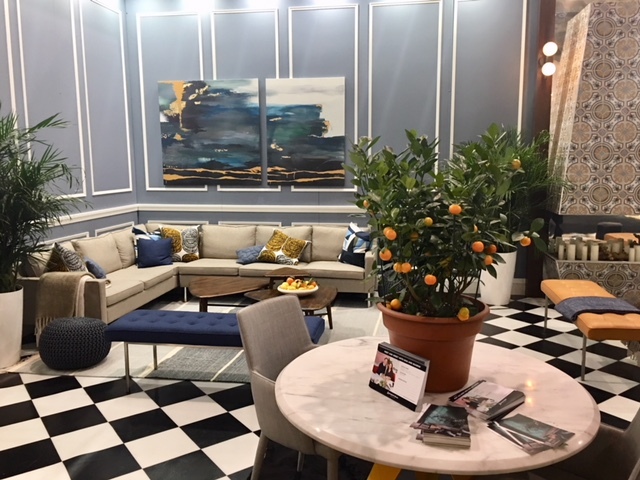 And my favourite booth, Benjamin Moore’s living space, had lots of greenery and an especially cute little clementine tree. Now I want one. I wonder how long it takes to actually get fruit that you can eat, assuming of course, it survives. 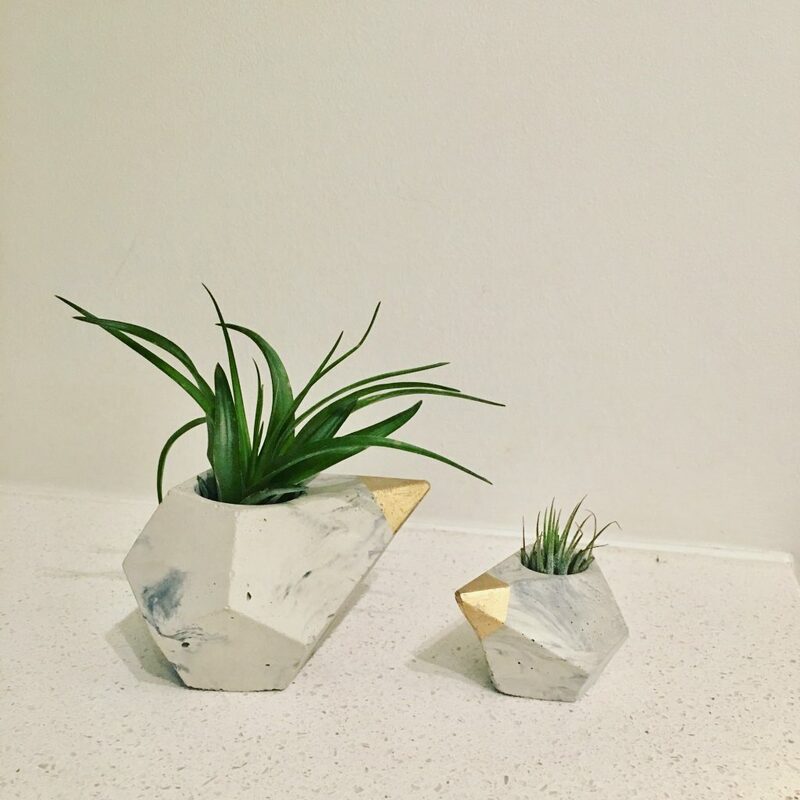 Homebody Collective had the cutest little cactuses and airplants displayed. The bottom containers are actually moulded from avocado skins. I couldn’t resist and came home with these two. They can be placed on their sides and used as a ring holder as well. I love a multi-purpose!